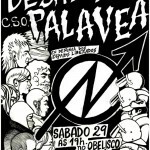 On March 25th, 2014, a huge contingent of police force evicted the Palavea squatted social centre in the city of A Coruña, northern Spain. Dozens of anti-riot police vans, backed by vehicles of the Civil Guard, assaulted the building at 7.30am, giving an end to three years of self-management, commitment and rebellion. During the operation there was only one person sleeping inside, a woman evicted from her house some months ago, who had found shelter in the squat. 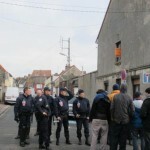 The bailiff came for all the three houses – Rue Massena, Auber and Vic and issued papers. A court date was proposed in the papers. The lawyer succeeded to delay the court procedure for all houses. A new date has been set for 1st April. They don’t give us much time at all. 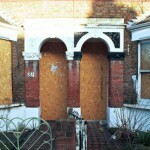 Houses are safe for now, they are lived in by communities and continue to be maintained and improved everyday. We continue to make the legal case. 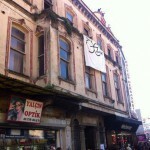 On Saturday noon, March 22nd, 2014, a group of nearly 50 people from different left spectra gathered at the central Eagle Statue in the district of Beşiktaş (on the European side of Istanbul) to jointly occupy a former Greek school, which is located nearby, and has been standing empty for many decades already. 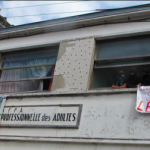 The activists intended to liberate the space and turn it into a non-commercial social centre. 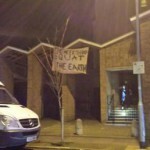 Just over a week ago, an interim possession order was served on a squatted church in Brighton. Deciding to resist the IPO, the squatters barricaded the building, and took to the roof in protest and a large group of people gathered outside. 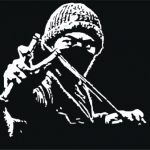 A Banner was hung from the roof stating “The meek shall squat the earth” in reference to some religious nonsense found within the church, and a black flag was flown whilst the squatters maintained a presence on the roof for 3 consecutive days. 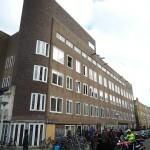 Since the 1st of March and after more than two years of being empty, Vechtstraat 1 (except attic and penthouse), 5H and 7 were squatted. The whole parcel (Amstelkade 23 t/m 27 and Vechtstraat 1 t/m 7) was bought by Alex Meijer B.V in 1987, some years later Ovast Ontwinkeling B.V (owned by Wim Oostveen) bought this company and all the real estates. This company and around 25 more are registered at the same address in Utrecht and the natural person related to them is Wim Oostveen; he is not only a speculator businessman, he also belongs to the nasty game of politics in Utrecht (Stadspartij Utrecht). Camelot Europe is an international vacant property management company, that started in the Netherlands. 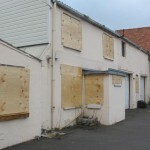 Their business is vacant property management services to provide real estate clients with a ‘cost effective, high quality and flexible solution’ to protect vacant properties against vandalism and such. Camelot provides these services in the UK, Ireland, Scotland, France, the Netherlands, Germany and Belgium and is now attending Mipim 2014. 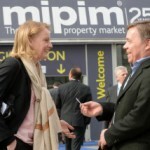 The Mipim is celebrating its 25th birthday this year. As all previous years, a lot of Dutch companies and local governments will be present, the latter also paying € 1600,- for an entrance fee probably paid for from our taxes. One of the local Dutch authorities present for the Mipim festivities, that really should have stayed at home to work on solving the serious housing shortages in its area, is the Amsterdam Metropolitan Area. More than 11m homes lie empty across Europe – enough to house all of the continent’s homeless twice over – according to figures collated by the Guardian from across the EU. In Spain more than 3.4m homes lie vacant, in excess of 2m homes are empty in each of France and Italy, 1.8m in Germany and more than 700,000 in the UK. The mayor of Calais ranks amongst the most extreme Right in France!